Democratic candidate Martin O’Malley says if he’s elected president, he’d “extend” executive orders and shield the parents of the so-called “DREAMers” that President Obama already has protected from deportation. Martin O’Malley’s round-table discussion on immigration reform. “To keep more families from having to be broken up,” O’Malley said this afternoon in Des Moines. The “DREAMers” were children when they were brought into the country illegally by their parents. As governor of Maryland, O’Malley granted those “DREAMers” access to college by making them eligible for financial aid and in-state tuition rates. O’Malley held a roundtable discussion with activists in a Des Moines church this afternoon to focus attention on the issue. “I have laid out what I do believe is the most comprehensive policy on comprehensive immigration reform of any candidate certainly in the Democratic field,” O’Malley said. According to O’Malley, too many people are “living in the shadows” because it takes too long to navigate the process to gain legal status or citizenship. O’Malley was the governor of Maryland when officials in Baltimore declared their city a “sanctuary” for undocumented immigrants. And O’Malley is rejecting critics who say it’s time to hold “sanctuary cities” accountable after a man who wasn’t turned over by San Francisco authorities for a fifth deportation shot and killed a woman. 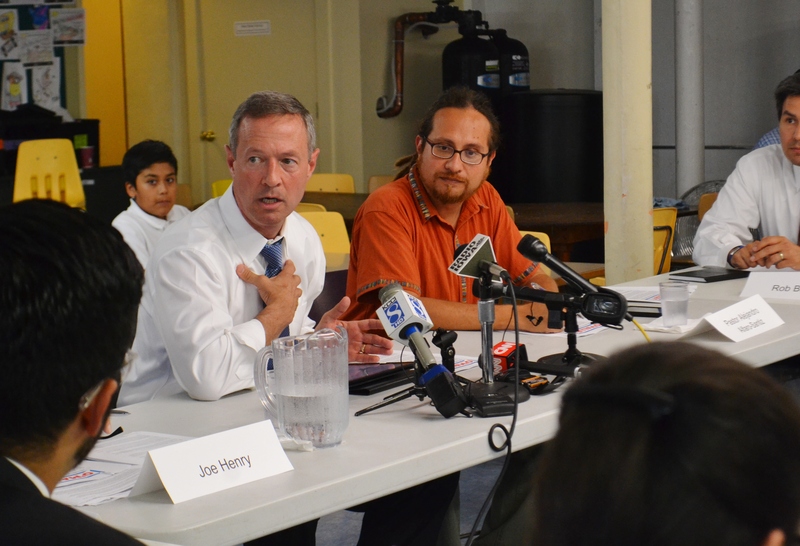 O’Malley said, in general, the Immigration and Customs Enforcement Agency has often failed to provide timely arrest warrants to local officials when they believe an undocumented immigrant is a threat to public safety and should be detained and deported.